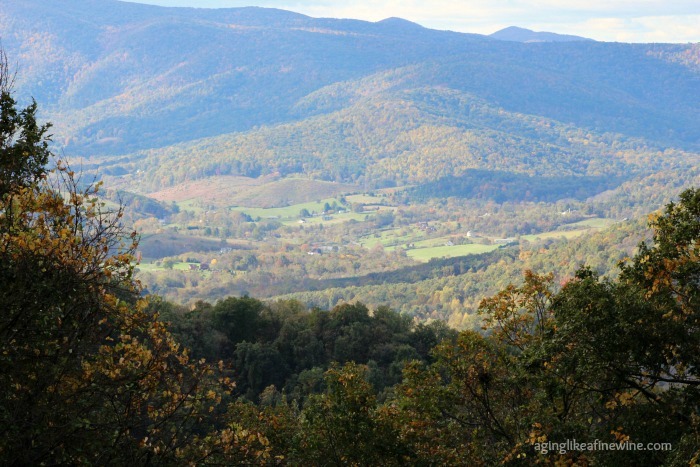 Skyline Drive winds it’s way along the crest of the Blue Ridge Mountains for approximately 105 miles in Virginia. 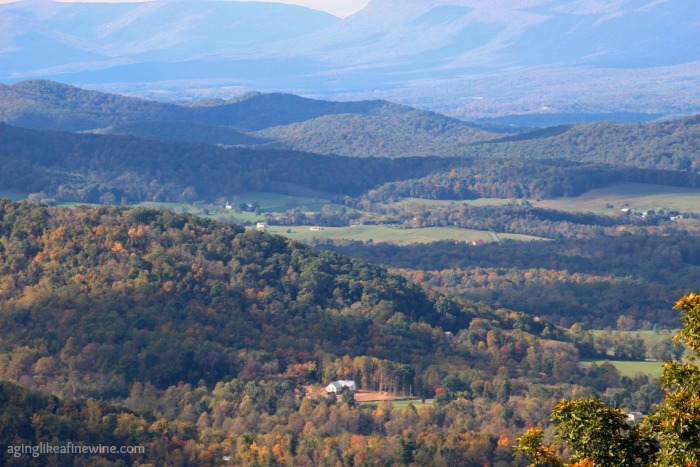 The Blue Ridge Parkway is its neighbor to the south. It begins in the Great Smoky Mountains National Park in Cherokee, North Carolina and ends where it greets Skyline Drive in the Shenandoah National Park near Rockfish Gap, Virginia. The beauty of this drive is difficult to put into words. Viewing areas are plentiful all along the way, allowing for abundant opportunities to feast your eyes on the tree covered mountains and the luscious green valleys below. 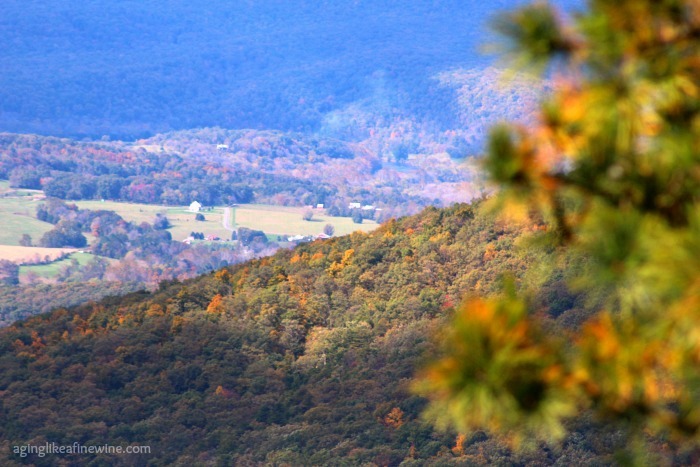 There are two lodges on Skyline Drive and several campsites and they were all full this weekend as people scrambled to see the turning leaves and to get in one last weekend of camping and hiking before the official end of season. Parking areas along the drive were overflowing with vehicles as avid day hikers enjoyed the brisk day hiking on the over 500 miles of trails that crisscross the park. The most notable of those trails is the Appalachian. The park wasn’t ablaze with color, but it was certainly on it’s way! Golden, yellow, orange and red were visible along the mountain sides. And the views as we looked out over the valleys were as always, stunning. I was hoping to see some wildlife to photograph today, but none crossed our path. The park is home to a wide variety of wildlife though, including an abundant black bear population. Two years ago when we visited the park we saw a mama bear with two small cubs. I was thrilled! 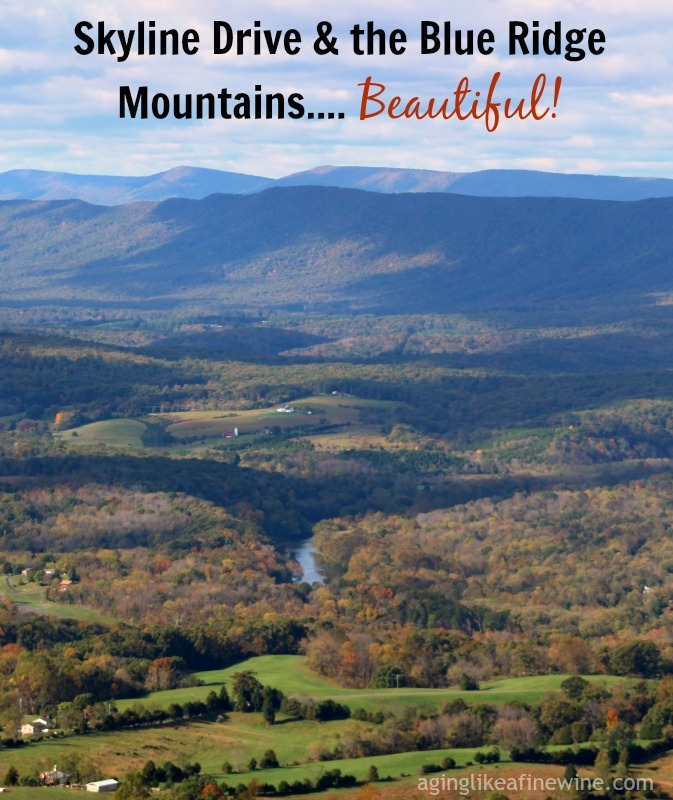 If you enjoy the outdoors, even if it’s only from the comfort of your vehicle, Skyline Drive along with the Blue Ridge Parkway are must see destinations for anyone living in or visiting the East. Thanks for stopping by and reading about Skyline Drive! P.S. This post will be shared on some wonderful link parties found on my “Where I Party” page. I use Amazon affiliate links. 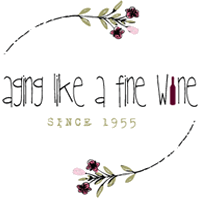 When you do your shopping through the Amazon links on this page, you support the blog at no cost to yourself and it’s very much appreciated! I’ve never been to North Carolina but it does look beautiful. Thank you for sharing the colors. Thank you! It is in fact, a very beautiful drive. I have never seen scenery so Beautiful in my Life. How lucky you ar to experience this first hand. This is my favorite kind of scenery Hills. mountains, valleys. All lushed with color.Thank You for sharing this Beauty. Thank you so much Cathy. I do think it is one of the most beautiful drives in the U.S.